This walk: 2017-7-13. Rees-Jeffreys car park, Longford Leat, 3-impost clapper bridge, explosives store, Merrivale Quarry, sett makers' bankers, Great Staple Tor, rock steeples, rock piles. 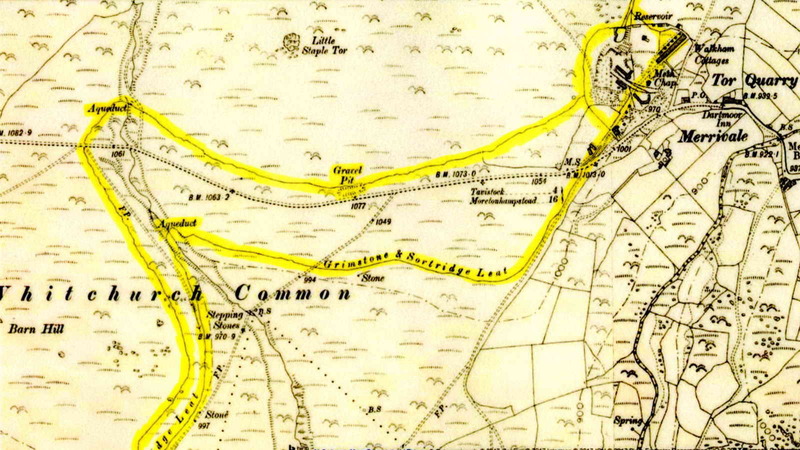 Visual aid from the walk, showing the parallel cuts of the dry Longford Leat (to the north) and the running Grimstone & Sortridge Leat (to the south). See the free DPA Short Walk on Tues. 25th July. We argued about this from afar! It looks like an old engine block. The Grimstone & Sortridge Leat enters the rear of the quarry property. Looking northwards along the dry leat channel. The rocl steeples og Great Staple Tor, seen after approaching directly up from the sett makers' banker in the previous photograph. Who suggested that route?! Zoomed view to the left steeple. Rock pan and its drainage slot on Little Staple Tor. 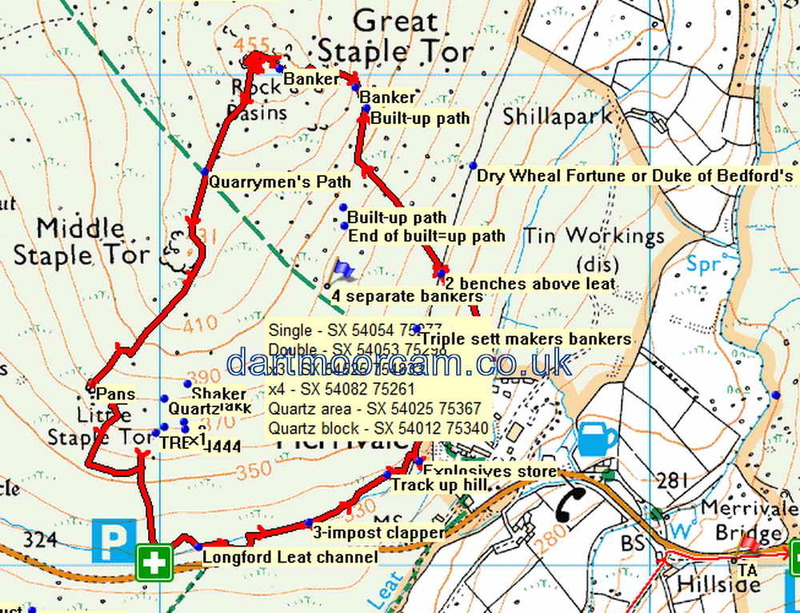 This walk was easily reached via the road from Princetown to Tavistock road or the Tavistock-Moretonhampstead road (B3357). Parking was at the P symbol on the map with the green cross, just west of Merrivale.